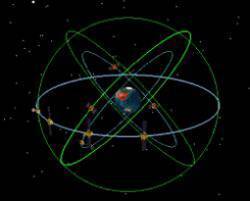 An official with China’s main space program contractor told China Central Television (CCTV) on January 18 that the country will complete a 30+ satellite Compass (Beidou) constellation by 2015. The European Space Agency (ESA) has appointed Prof. Dr. Günter Hein to serve as Head of Galileo Operations and Evolution with duties in Noordwijk, Netherlands, and Paris, France. With an initial four-year term beginning December 1, Hein will report directly to René Oosterlinck, ESA’s director of the Galileo program and navigation-related activities (D/GAL). 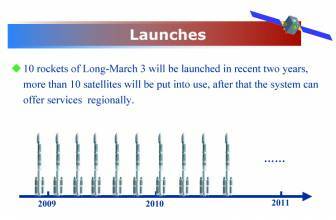 (updated 12/8/08) China plans to launch 10 Compass satellites during the next two years in order to create a regional positioning, navigation, and timing (PNT) capability in the Asia-Pacific region by 2010. NaviForum, China’s large GNSS industry event, has been postponed from this December until next year. “Due to the big earthquake and Olympics game in China, the Chinese government decided to postpone the NaviForum to sometime next year,” NaviForum organizer Peter Zhou told Inside GNSS. Zhou is executive secretary of the conference’s organizing committee. 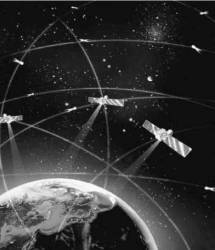 A European initiative is seeking to link small and medium-sized enterprises (SMEs) in Asia and Europe through a series of one-on-one encounters between businesses operating in the aerospace and information and communication technology (ICT) sectors, with a special focus on Galileo-based satellite navigation applications. A recent presentation on Compass/Beidou that appeared to reflect a step back from China’s GNSS program more likely represented a step sideways — and an implicit acknowledgment of the complex political and technical elements involved in such an enterprise. 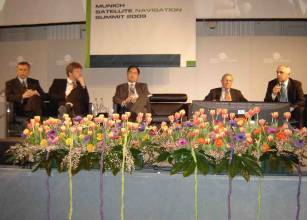 In February 20 remarks at the Munich Satellite Navigation Summit in Germany, Jing Guifei, a project manager at the National Remote Sensing Center of China (NRSCC), seemed to play down the global aspects of Compass — or Beidou 2 — while underlining near-term efforts to implement a regional capability for the system. China will release details of its Compass (or Beidou 2) program “soon,” including an Interface Control Document (ICD) for the GNSS system’s open civil service and a launch schedule for additional satellites, according to representatives of the China Satellite Navigation Engineering Center speaking at the Shanghai Navigation Forum (NaviForum) in Shanghai on Thursday and Friday (December 6-7). Swedish technology group Hexagon AB, which acquired Leica Geosystems in 2005, launched its tender offer to acquire all the issued and outstanding common shares of NovAtel Inc., a Calgary, Alberta, Canada–based developer and manufacturer of OEM GNSS and related products, at a price per share of US$50 cash. China has taken the next step in developing its Compass GNSS system, launching the nascent system’s first medium Earth orbit (MEO) satellite into space on April 14.